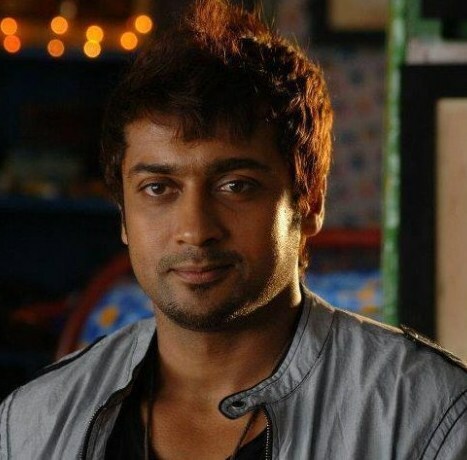 This Medical-Historical-Science-Fiction (Sci-Fi) epic drama film is sure to become a landmark movie in Surya’s career. He plays dual roles in this movie, namely Buddhist Monk called Bodhidharma and a Circus Staff. “7am Arivu” highlights the life Story of the 5th Century Pallava Prince-turned-Buddhist monk called Bodhidharma. The monk is considered the 28th patriarch of Lord Buddha and was responsible for institutionalizing and spreading Zen philosophy in the world. He is also said to be the creator of the martial art Kung Fu and taught it at the Shoalin Temple in China. He is also said to be the creator of the martial art Kung Fu and taught it at the Shoalin Temple in China. ‘7am Arivu’ pictures the greatness of this Tamil saint who is still revered and worshiped in China and Japan and all around the world. The Story of the movie “7am Arivu” starts in the Pallava Empire, The story is set in the time period of 5th Century . Bodhidharma, famous exponent in the Martial arts and Medicine lives in this region. Under the orders from his Parents, he travels to China. Bodhidharma, basically a Tamilian was the first person to preach the Martial Arts to this World. He spends his life in China for some time. In a particular situation, the Villagers there suffers from some disease. Bodhidharma gives some medicine and they get cured. From then, they consider him as their God. Apart from that, the people from the nearby Villagers come to attack the people there. Bodhidharma uses his Martial Art skills like Kalari and saves the people in this Village. From then, the respect over him increases even more. The people in these Village, request Bodhidharma to teach those Martial Arts to protect themselves, in the future. Bodhidharma accepts the request of these people and preaches all the Skills, he knew and possessed. After sometime, he expresses his desire to return back. But, the people in that region become selfish, and as they consider him like God, they don’t want to let him go from their region. They consider that, if he is buried in their land, his powers will stay in their land forever. Therefore, they give poison to him. But, Bodhidharma identifies their plans. But, hearing their thought perspective, he drinks that Poison and sacrifices his life and hence he dies and gets buried in that region itself. This is the same Bodhidharma, for whom Temples are built in the name of Shaolin Temples in many places in China, Japan and other Eastern Countries. 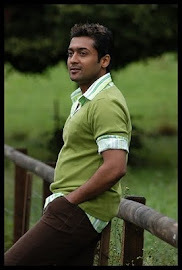 As and when they show this Story, they show the life of another Surya, a Circus Artist, by the name of Aravind. Shruti Hassan plays the character of Shuba Srinivasan, who comes as a Scientist. Johnny Tri Nguyen plays the character of the person, who is sent from China to India, on a mission called Operation Red. Operation Red is the plan of China to intrude the Virus into India. A deadly Virus existed in the 6th Century and killed many people. Bodhidharma used his medical knowledge and treated the people, from the same virus, during that time. Chinese wants to intrude the same virus into India now, and provide the Medicine for the same virus, only from China. Indirectly, they want to make India medically dependent on China. On the basis of her researches, Shuba finds out the matching DNA of the Bodhidharma from the Internet, and finds that, this Circus Artist Surya has similar kind of DNA. She hopes that, by combining and exciting few biological compositions in Aravind’s body, same kind of person, who is as special as Bodhidharma can be recreated once again in this present era, even after 1600 years. By doing so, she hopes that, Bodhidharma’s knowledge in Medicine and his talents in Martial Arts could be used again, in our Country India also. Bearing all this in mind, Shuba tries to follow Aravind, and eventually they fall in Love. But, Aravind finds that, there is some thing more than Love for Shuba to follow him. After sometime, Shuba explains all the facts to Aravind. From then, Aravind also extends his full support to Shuba’s ambitions and works for the welfare of India. Somehow, China comes to know about Shuba’s plans and they send Johnny to prevent Shuba from carry out her research and recreating the Bodhidharma. Who succeeds in which plans, forms the remaining part and the Crux of the Story? the martial art extravagance of an American- Vietnamese Actor named Johnny Tri Nguyen in the film going to be another special aspect for the film lovers. He plays the villain of the protagonist in the film. Shruti Hassan, who is donning a role of a Scientist named Shuba Srinivasan, has given her dazzling performances in the vital scenes and dance sequences. She has performed to such an extent that, this does not look like her first film in Tamil. Udhayanidhi Stalin’s Red Giant Movies has produced the movie at a whopping budget of 84 Crore. He has said that, “As a producer I’m proud to be a part of this wonderful film. It is a milestone movie in the productions of my banner”. Udhayanidhi Stalin has never stayed back in spending his money for the film’s production. The film boasts the expense of Rs. 7 Crore for just the intro scene of the film! Ravi K. Chandran’s camera work, Editor Anthony’s cut and Sound art have taken the film, and our Tamil cinema, to another level of technical excellence. The courageous and amazing thought and work of A R Murugadoss and the artistic and technical cooperation by his team and the staunch support of Red Giant Movies’ Udhayanidhi Stalin has brought out a Masterpiece called ‘7am Arivu’! A R Murugadoss efforts to make a film on Bodhidharma and present it to the World should be laudable. You were a charm to watch as a BhodhiDharma and you could have watched for your cbe slang while giving the final speech in the TV as person hailing from Kancheepuram.